Cyber Bullying has rarely been a topic of conversation in Africa and Zimbabwe. Maybe it’s because people are tending to more pressing issues such as poverty and this has led to cyberbullying taking a backseat but it seems that might be changing in 2019 after the “Cyberbullying incident” involving the wife of high profile businessmen Strive Masiyiwa –Tsitsi Masiyiwa. It seems other politicians are getting involved with Obert Gutu coming out saying he has also been cyberbullied but he is not bothered. Strive Masiyiwa is fully standing beside his wife and also claims that he knows who is behind the cyberbullying incidents saying it’s more to do with business rivalry rather than plain old internet malice from ordinary people. I would like to give a #ShoutOut of appreciation to Jerry Masungo, and all those who have joined him and others in their campaign of support after the misogyny [hatred of women], cyberstalking and bullying of my wife. Who could be this mystery businessman be? Strive Masiyiwa has been in business for over 20 years so it won’t be entirely clear who this businessman is unless if Strive comes out and declares who it is. This does not mean there is no room to speculate, however. Econet recently sent a letter threatening to sue Rutendo Matinyarare who was accusing Masiyiwa of corruption and in that letter, one businessman with a “long time grudge” was copied – Mutumwa Mawere. In addition, it has become clear that you are part of a group of persons engaged in a deliberate smear campaign using, inter alia, the publication of defamatory statements via YouTube, Twitter, the Internet and by way of the distribution and publication of audio recordings. The universal theme of these actions are directed at defaming our clients and causing them both reputational and financial harm. This might not be related in any way to the prior statement made by Strive but the fact that Strive said the lawyers were on it and referenced a group whilst the lawyers also referenced a group that is the only publicly known link that we have to any businessman. Mawere saw these successful business people as a threat and targeted them with a view to annihilate any perceived competition in the country. As the blue eyed boys of the Party, they had every opportunity to advance their business interests as they were given the opportunity. However, due to his political interference, he soon lost political favour. Mugabe’s administration became very aware of Mawere’s double playing and so began a systemic attack and subsequent demise of his businesses. Mawere and Mukoma Daniel have historically been key in the demise of fellow black businessmen. This is what I am disturbed and concerned with. Surely as a nation we cannot standby quietly and allow the demise yet again of Zimbabwe’s successful business flagships. 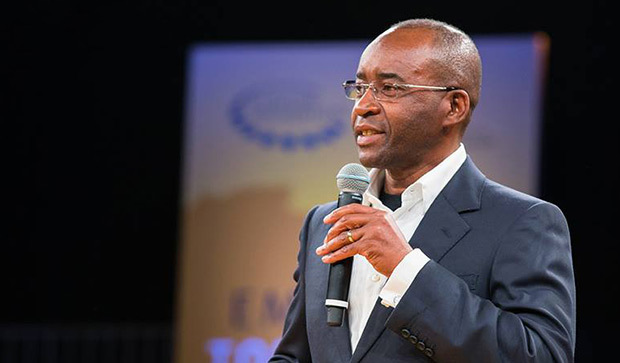 Business people such as Strive Masiyiwa are not supposed to come under fire due to some other failed business persons bitter and twisted lies. The fight is clearly personalised and about those perceived to be pro current dispensation. REMEMBER, we are just piecing together information from different sources and we are not sure what the exact situation is on the ground but maybe the fact that Strive has been vocal when he normally keeps his peace means this is a bigger issue than other allegations that have been thrown his way before. He thought about asking for a house; but he did not like the thought of his brother having two houses. So he thought about asking for a million dollars to go to his bank account; but again, he was unhappy with the thought of his brother having two million dollars in his account. The man sat down and thought hard, “What can I have and still be better than my brother when he has double?” So, he thought of having one of his eyes removed so that his brother might have his two eyes gouged out . This sounds like a very unlikely story; however, this is the typical mentality that has set Africans backward for ages and caused witchcraft to thrive in Africa. An African wants to be better than his brother at all costs. The African man is only careful to share his beer, not his books; to spread his diseases, and not the cure; to transfer his problems, and not the solution. When an African man fails, he wishes his brother same fate so that he won’t be the only one who had tasted the bitterness of failure. An African man is happy when evil besets his brother. brothers widen daily. An African man wants to outperform his brother in every area and most African men do not want to let their brothers have any chances of success because they want to be the only ones succeeding. When an African man gets to sit on a seat of authority, he wants to keep it to himself and refuses to give anyone else a chance to sit. opportunity to perform better than them. When one independently discovers the way to success, an African man who refused to give directions would still do all he can to stand in the way of that success. An African man is ready to spend money to intimidate his brother and make him look like nothing. It’s sad to see a person who thinks so lowly of themselves as an African. These things happen everywhere and you are foolish enough to believe it’s an “African problem”. That aside, you are also generalising a very specific incident and making it seem like it’s happening everywhere in Zimbabwean business. It’s not even proven in the slightest that there’s a 3rd force. Don’t be drama queens! Real cyber-bullying actually happens in non-African “1st world” countries. There it is clear and not even subject to debate. You will be told to go and kill yourself, or even threatened with death. Be humble, sit down! Are you denying that Africans are like that. Why is it we wait for NGO’s sponsored by whites to help communities why can’t we help ourselves. The guy is not undermining himself but his simply making plain whats on the ground. You TECHZIM guys are beginning to sound and feel more like a gossip tabloid everyday. Why don’t you stick to the knitting; giving factual, non-speculative tech & economic news. You are killing your brand with this gossip territory you are moving into.